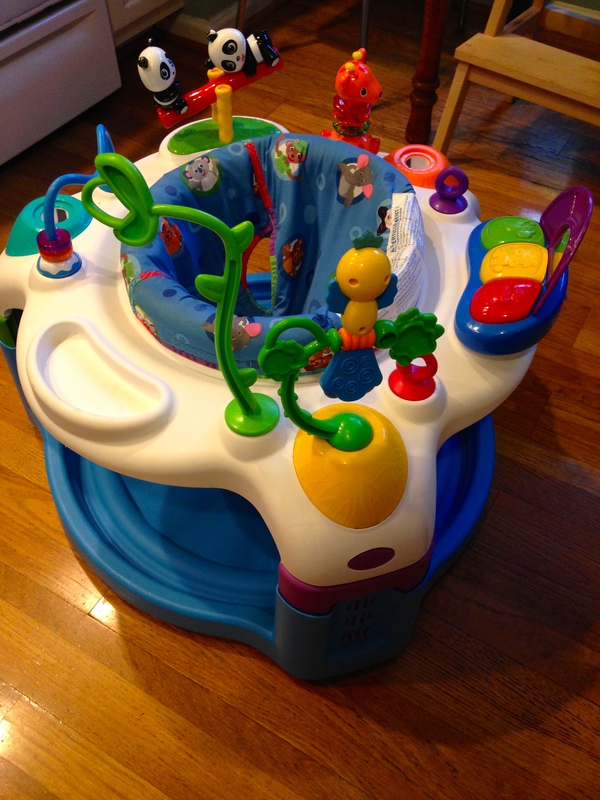 This afternoon I picked up a used Baby Einstein exersaucer from some lady in a CVS parking lot for $20. It’s missing a couple toy attachments but looks clean and unbroken. Considering that new exersaucers ones start at $70, this is a good deal. Who knows if she will even like it?